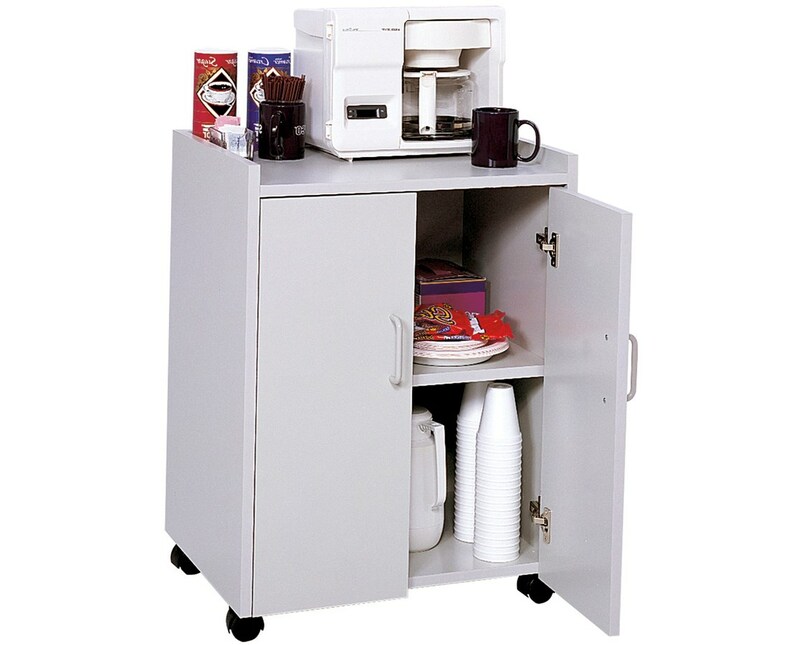 The Safco Mobile Refreshment Center is a great unit for storing break room supplies all in one place and in an organized manner. It features a total weight capacity of 200 pounds and a heat-resistant countertop with a 1.25-inches raised lip to help prevent items from falling off. For maximum storage, this unit has a two-door compartment that includes a fixed shelf. 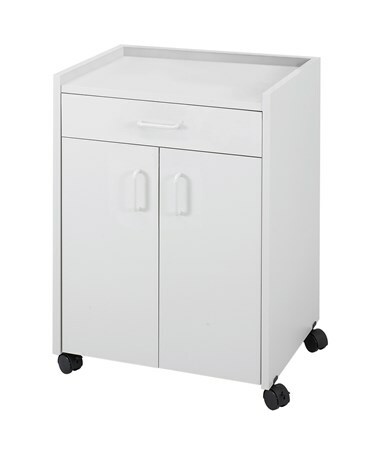 Four two-inch dual wheel casters allow this refreshment cabinet to move smoothly and two of these wheels can also be locked when desired. It is also available with a pull-out drawer placed below the countertop. 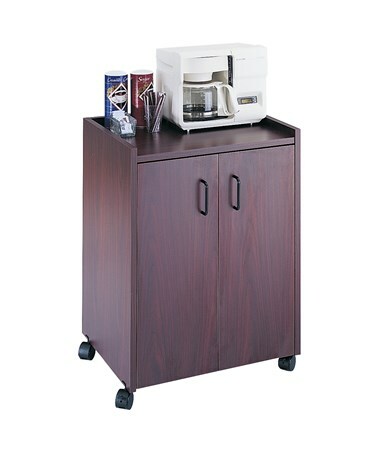 This cart is constructed of durable ¾-inch furniture-grade wood with a laminate finish, which makes it stain and scratch resistant. It is easy to assemble with the cam-lock fasteners and is also safe for use as rated by BIFMA standards. 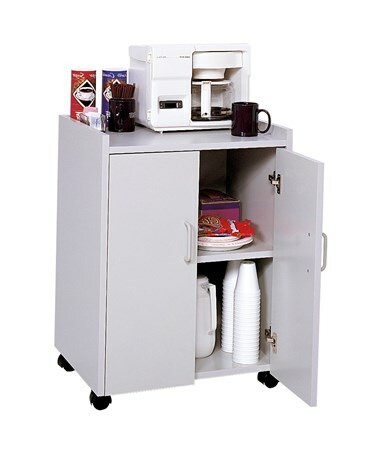 The Safco Mobile Refreshment Center is available in different types and colors. Please select your preference from the drop-down menu above.